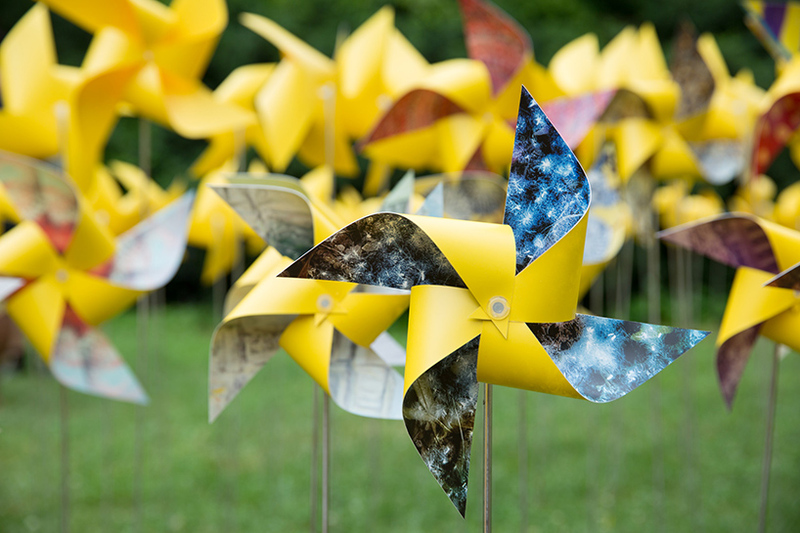 this summer, brooklyn’s prospect park was home to more than 7,000 pinwheel ‘flowers’, blanketing over 2 and half acres of rolling lawn. 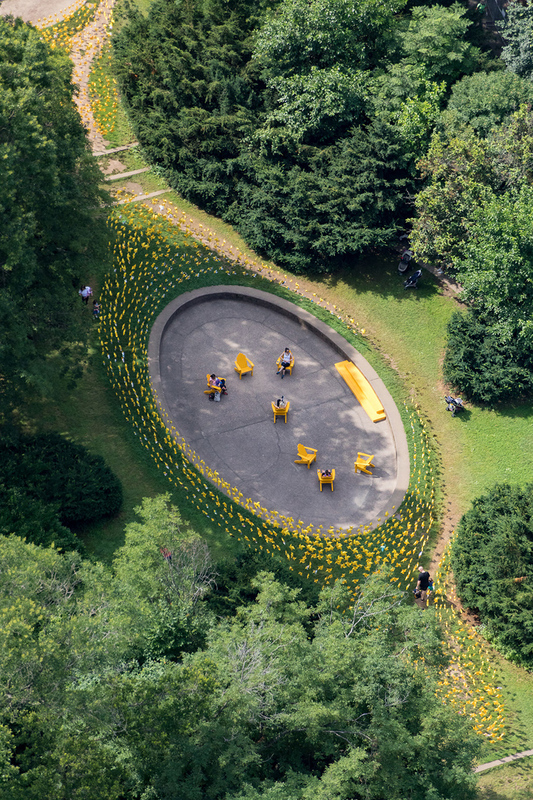 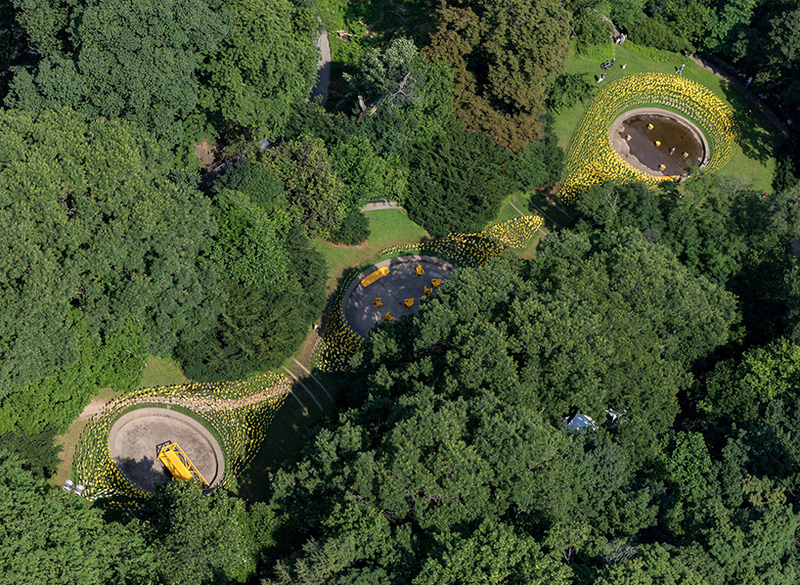 ‘the connective project’ transforms a little-known part of the landscape into an immersive display of bright blooms. 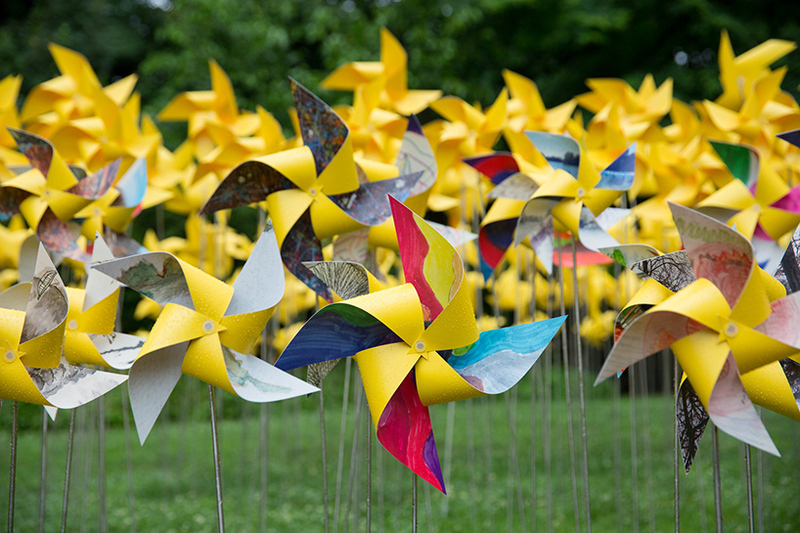 conceived by architect suchi reddy alongside experiential marketing firm AREA4, the public artwork sees pinwheels made from biodegradable ‘stone dust’ paper individually designed by artists, notable brooklynites, and local people. 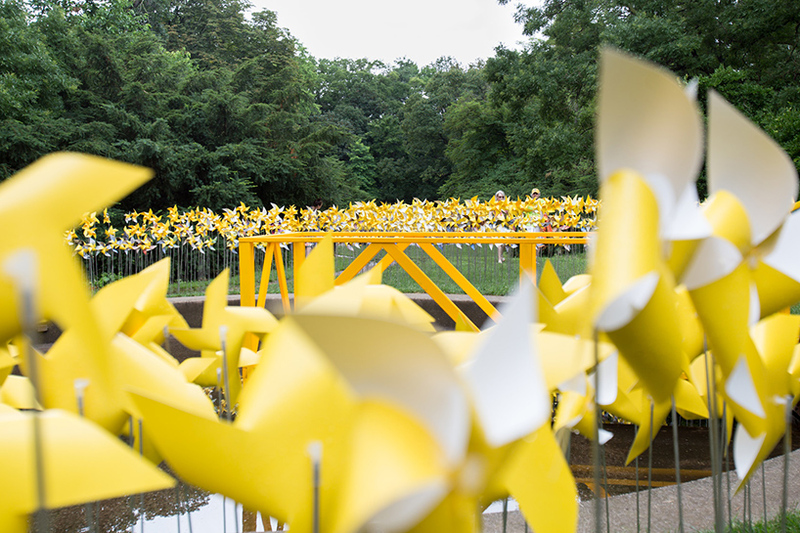 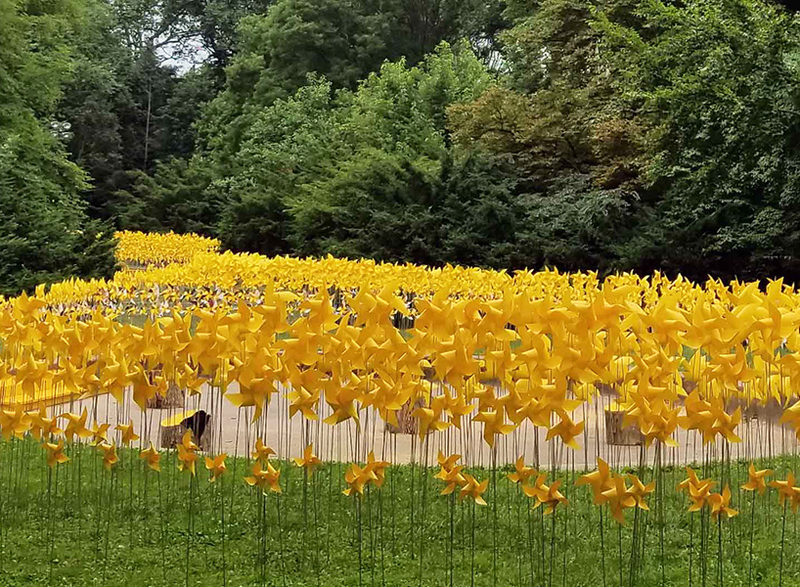 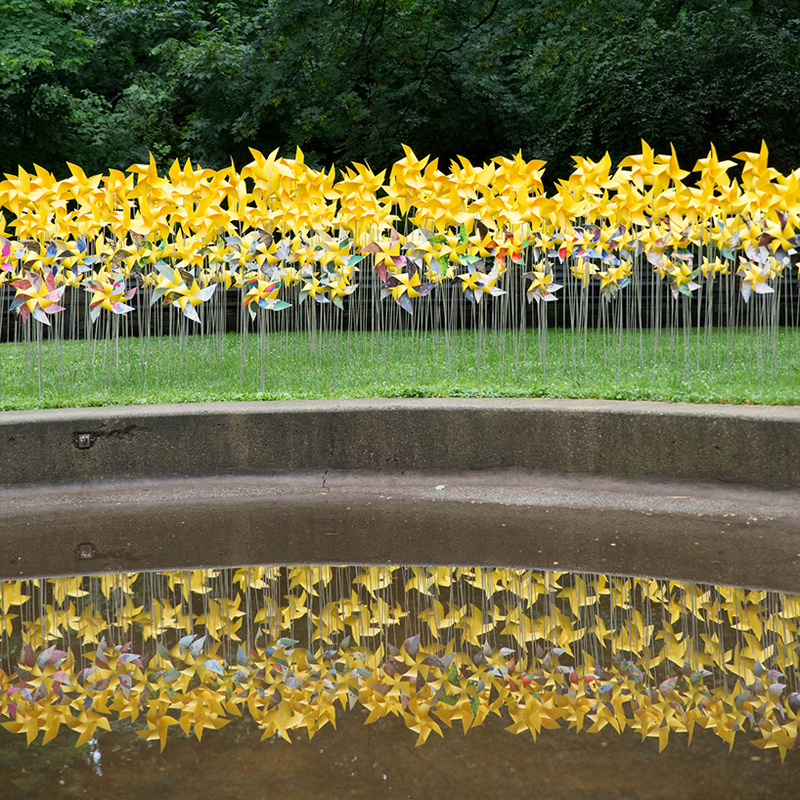 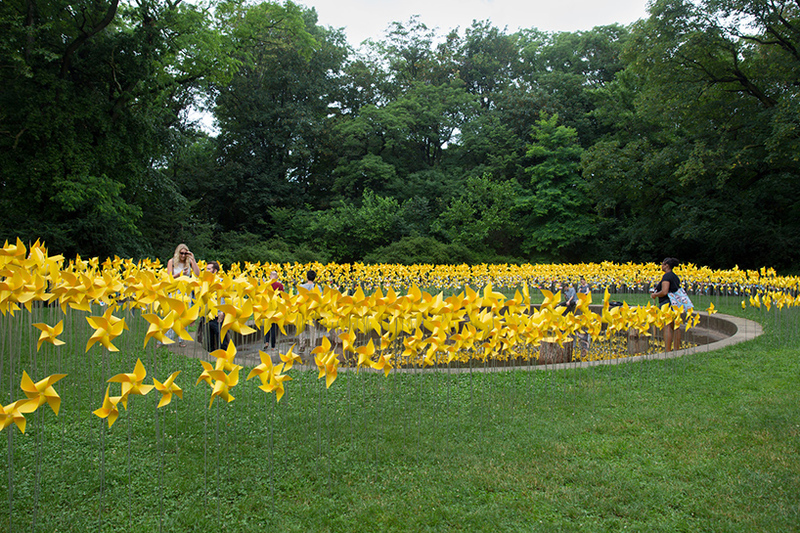 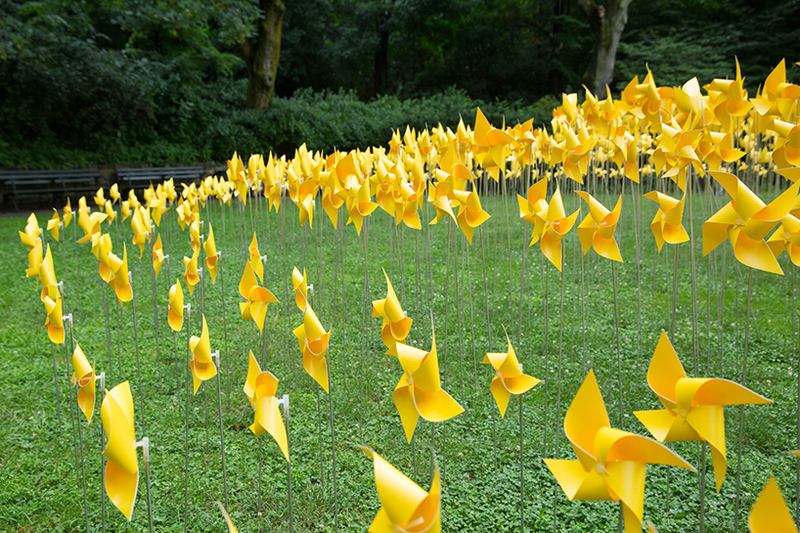 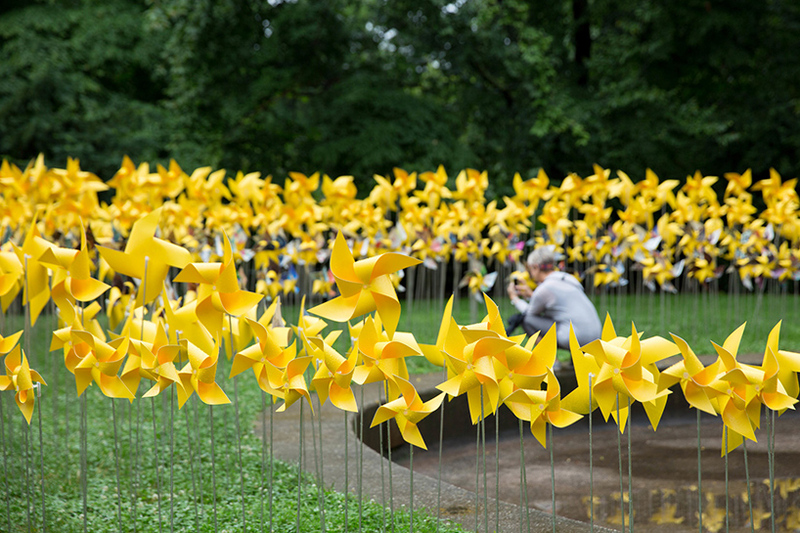 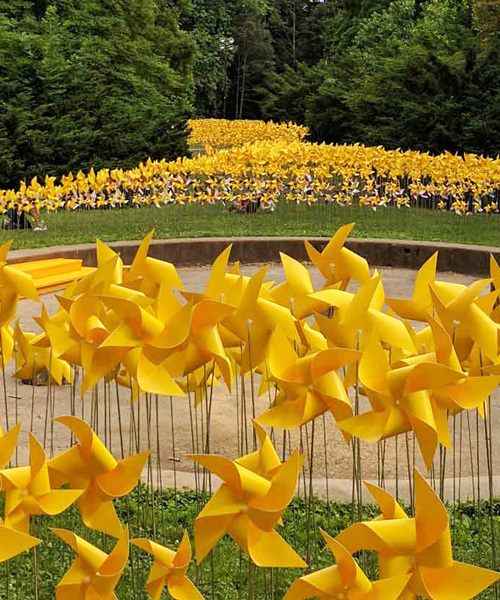 presented by the prospect park alliance, ‘the connective project‘ becomes a sweeping kinetic composition of thousands of paper pinwheels made by people of new york, ceaselessly spinning with the wind. 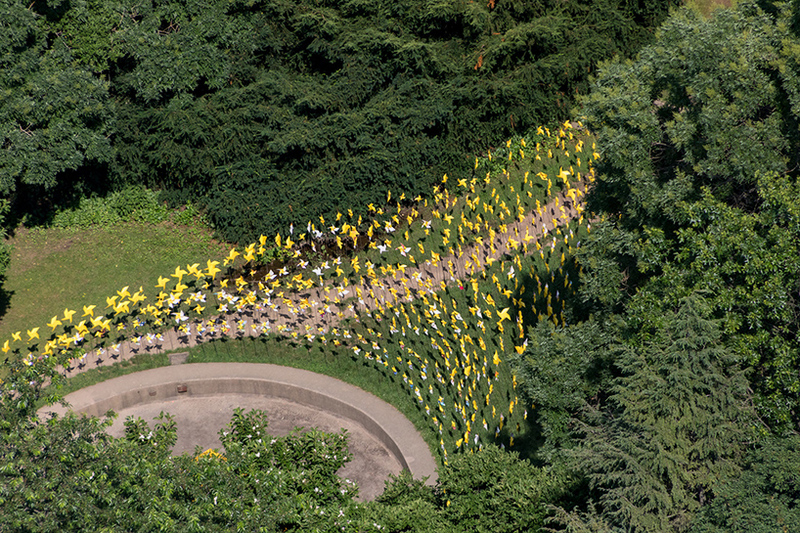 in thinking about the landscape and its historical context, reddy drew from the vision of prospect park’s designers frederick law olmsted and calvert vaux, who transformed 585 acres of rural terrain into an urban retreat back in 1867. on the anniversary of the park’s 150th year, the landscape has been re-invigorated with a renewed sense of color and whimsy.